So yesterday we made it our mission to use up some of our Living Social Deals (we have a tendency to forget about them.) 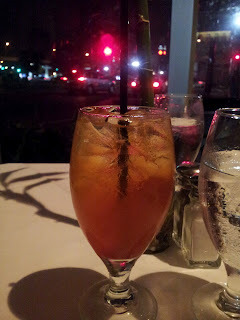 So we went to Gordon Biersch for lunch and then Tamarind by Dominique at the Hotel Modern for dinner. Gordon Biersch was fine. Beer and burger kind of thing. 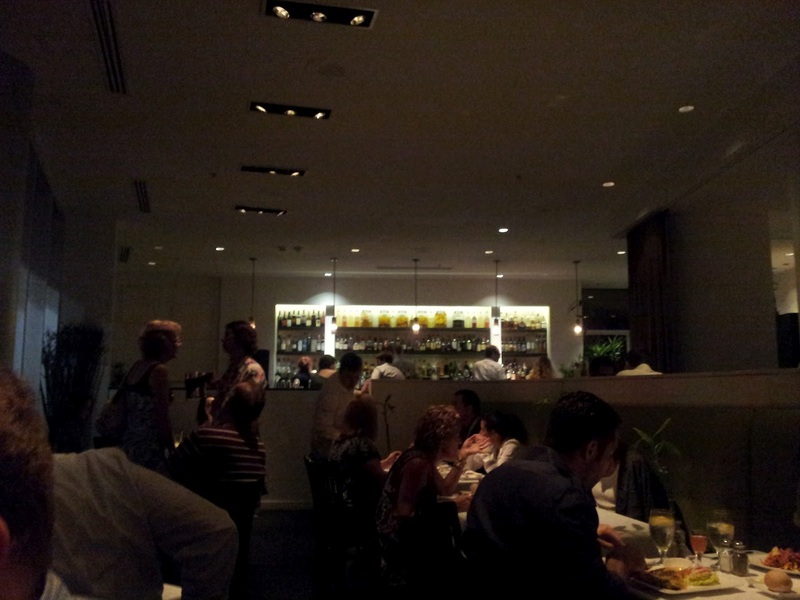 But when we went to Tamarind, it was definitely WAY more swanky/trendy than we are used to. We showed up for our reservation at 8:30, but the tables were backed up and it would be like a half and hour till ours was ready. No problem, we were able to go across the courtyard to Belloq, which I have been dying to try! Definite silver lining there. 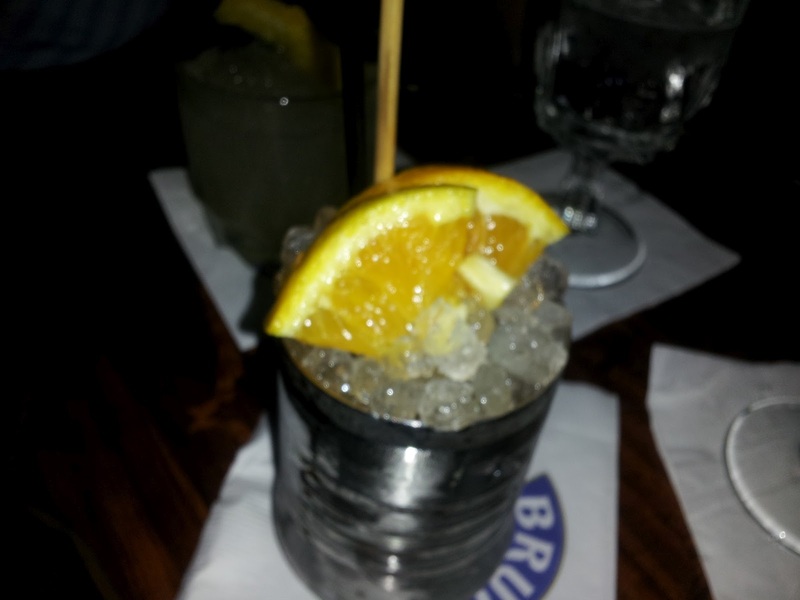 Note the silver cup and mounds of ice. What was also in my rum cobbler was: El Dorado 5yr, Black Tea Syrup, Orange Bitters, Citrus. Was tasty. Tom had a rum punch that was in a punch bowl that was shaped like an octopus. That was honestly why he decided to get it. Also, it did sound delicious. And proved to be so. We were taken back to Tamerind and seated by the window, overlooking Lee Circle. 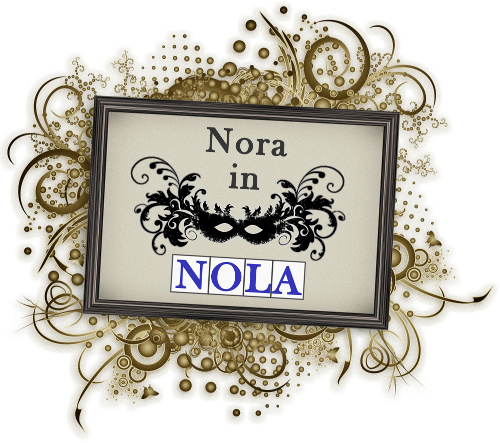 There were many fabulous and beautiful people there, and I felt a little out of place! You know what helps with feelings of insecurity? Alcohol. On to the food! Looking at the menu, I decide to start with the Crispy Colorado Lamb Confit and Vietnamese Crepe, which was delicious but huge and the lamb was very intense. I loved the flavors, though. 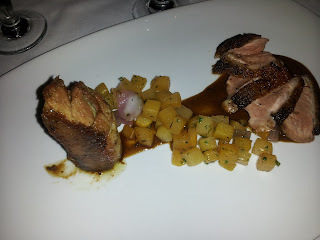 Tom had the "Crispy, Cured Maple Leaf Duck Confit" that came with a house made steam bun and spiced ginger aioli. While my app was tasty, this one won the course. Haha, the sandwich looks like it's sticking its tongue out! 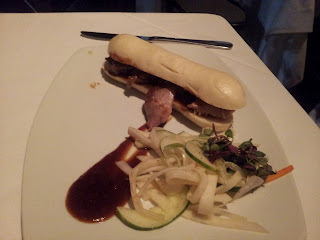 The bun - the Asian style bun - was shaped like a a French baguette, which was a very playful way to emphasize the French-Vietnamese fusion style of the menu. By the time my main course, the Maple Leaf Duck 3 Ways (Seared Duck Breast, Leg Confit with Rutabaga hash, Pomegranate Foie Gras and Duck Jus came out, I was pretty sated. But it was awesome. I took a lot of the confit home with me as well as the rutabaga and a couple slices of the breast, and am planning to make a lovely hash for dinner tomorrow night. 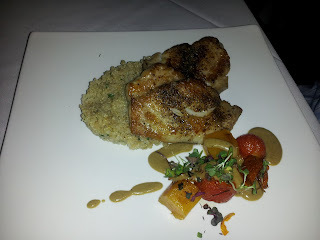 Tom had the Seared Local Black Drum On Quinoa, with Roasted Corn Beurre-Rouge. He loved everything but the quinoa. Had an off flavor to him which I didn't detect, so I think it's one of those palate specific issues. Whatever, everything else was awesome, including the garnish of roasted tomato. We finished our meal by sharing the trio of housemade sorbets, which that night were: Mint-Lychee, Coconut, and Blood Orange. I didn't get a picture, but they were all SO delicious, I wanted to order a pint of each to take home. We couldn't even pick a favorite, they were all excellent and all so different! Funny thing, after we showed our Living Social certificate to our server, when he came back with the dessert menus, our service... slowed down to a crawl right after that. The time lapse between getting our dessert ordered, our dessert served, and especially waiting for the check (it was about a 15 minute wait for that) was strikingly different than it was during the early part of the meal, when things were actually busy. Always tip on the original amount of the check, Living Social customers! Making the rest of us look bad to the service industry. 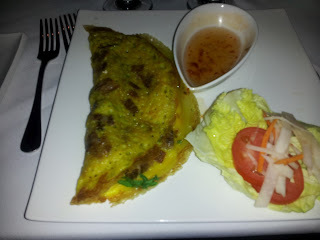 But the food was fantastic, and looking at their lunch menu, I'd like to get back there to try that meal too. And I'd definitely come back to dinner. Maybe just not on Saturday night?